Both residents and nonresidents who enjoy the sport of fishing can apply for a license to fish in Colorado. Various licenses, such as lifetime licenses and annual licenses, are available – but the terms and fees for each may vary. Military members and seniors may also be eligible to receive discounts, and a fishing license replacement can easily be obtained at a CO Wildlife and Parks location. 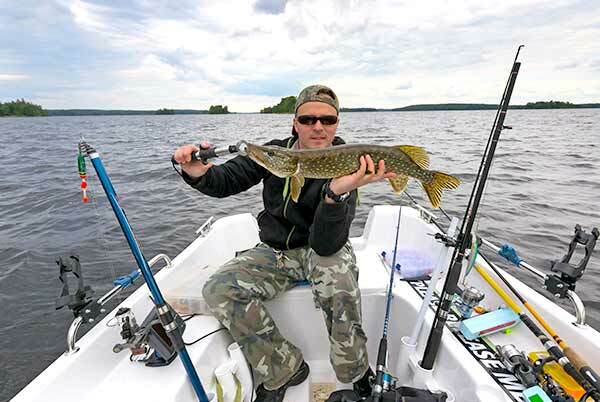 Read on to learn more about how you can get a fishing license. CO fishing licenses can be purchased online, at a Parks and Wildlife office, through a licensed agent or by phone. If Colorado is not where you reside, you can still fish or take fish in the state, as long as you apply for the appropriate non resident fishing license. The process is similar to obtaining a resident license, although it has one notable difference: You are not required to present proof of residency. Keep in mind that you will need to show a current photo ID, proof of your Social Security Number and payment for a Habitat Stamp, in addition to the regular licensing fees. In the state of CO, fishing licenses are good for a 12-month period, specifically between April 1 to March 31. Once your licensing expires, you will need to purchase another annual license if you would like to continue fishing in Colorado waters. Residents who are 64 years of age or older can obtain a fishing license in Colorado for one single dollar: 25 cents goes toward the search and rescue fee, while the remaining 75 cents is the Wildlife Management Education Fund surcharge. However, if you are a senior with low income who would like to get a lifetime fishing license, you can do so at no cost to you. Colorado allows military members to enjoy a wide range of fishing benefits, including the option to purchase a fishing license at a resident fee, and the freedom to fish in the state without a license – as long as they are on temporary leave. For the latter, you must have your leave papers on hand when fishing. Take note that military family members can also apply for a CO license to fish at the resident rate. As previously mentioned, first-time applicants between the ages of 18 to 64 are required to purchase a Habitat Stamp. If you would like to purchase a lifetime fishing license instead, you will also need to buy a lifetime stamp to carry on your person. The only exception to this is if you obtained a free lifetime license to fish, per meeting the low income requirements. Take note that lifetime licenses are not available for purchase online or over the phone. To complete this process, make a visit to your local Colorado Wildlife and Parks office or have an in-person meeting with a licensing agent.